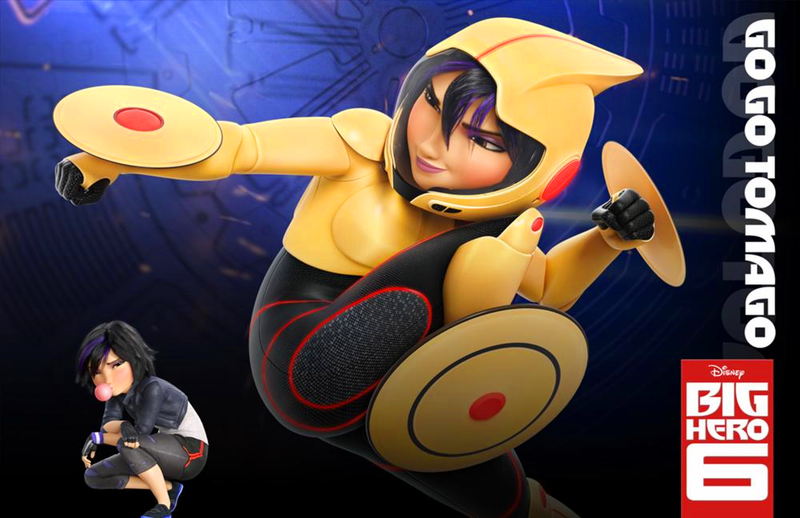 She's Fantastic: Big Hero 6 - GO GO TOMAGO! 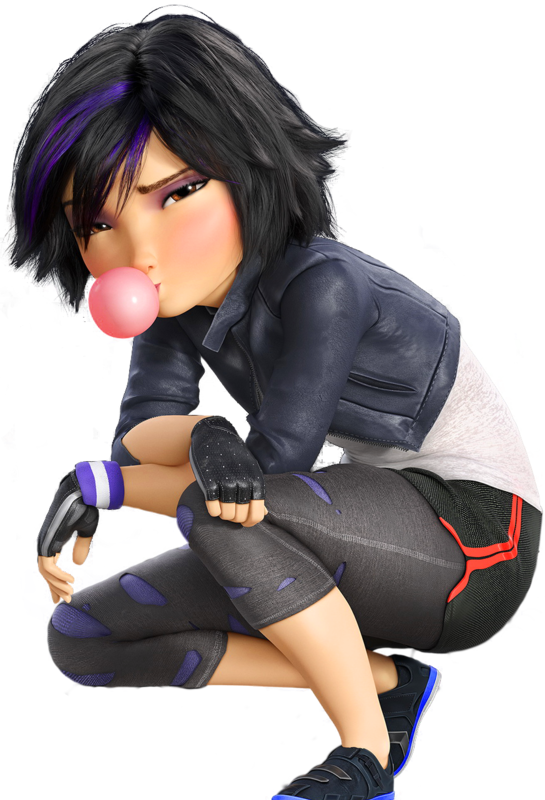 Big Hero 6 - GO GO TOMAGO! 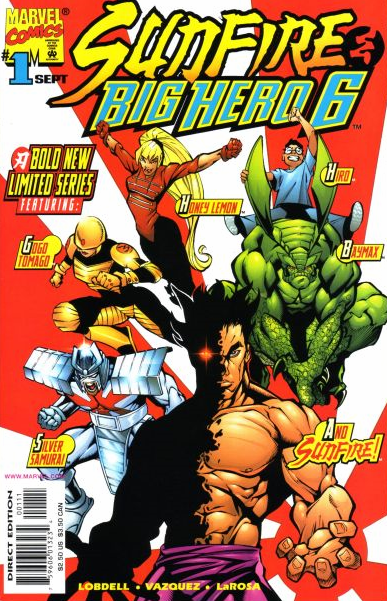 Big Hero Six is a relatively unknown Marvel Comics superhero team that first debuted fourteen years ago in their own mini-series as well as in the pages of Alpha Flight. 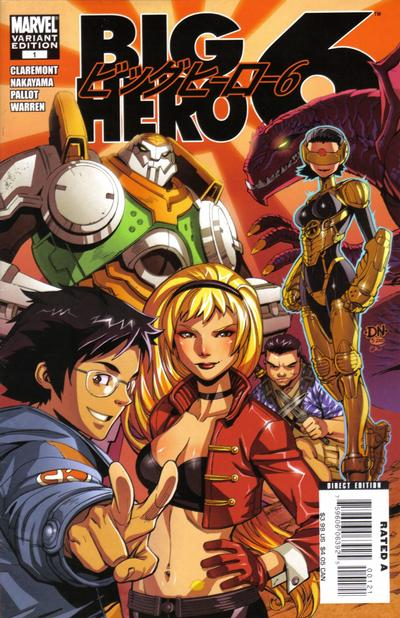 Following the acquisition of Marvel by Disney in 2009, Big Hero 6 will be the first true collaboration of the two entertainment giants. The movie doesn't come out for another two months so a lot of the plot and characteristics of these heroes are pure conjecture. It's pretty safe to assume the kid-friendly Disney version will differ greatly from the comic though. 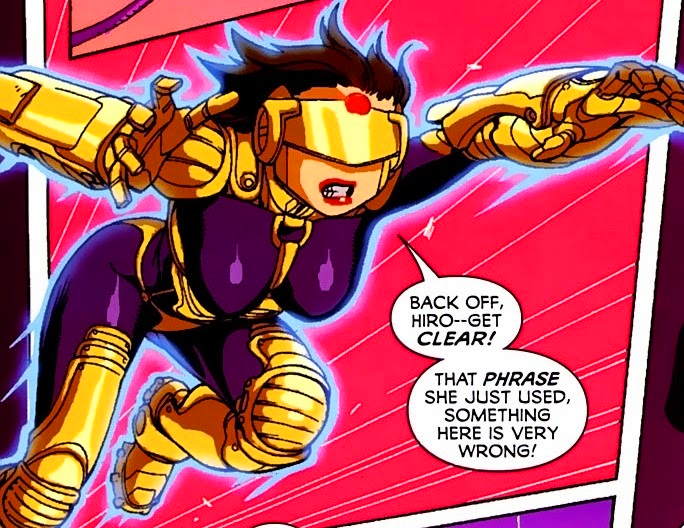 In the comic, Go Go Tomago is a badass ex-motorcycle gang convict who is made a test subject for a power suit that lets her speed up and burst into energy (at least that's what I gather from what I've read). It's kind of like a hybrid of Speedball and Captain America in the pages of the Suicide Squad. In the Disney version I doubt she'll be a convict on "hero release." It appears her Mag-Lev disks are the basis of her powers. She uses them as wheels on her hands and feet, flying devices, and projectiles. Go Go is also touted as the sole hero with experience in a group of amateurs. Let's check her out! Go Go Tomago is very well articulated. She has ball joints at her thighs and her neck and hinge & swivel joints at her shoulders, elbows, and knees. She comes with two sets of Mag-Lev (Magnetic Levitation) disks. The big ones are for her feet and ankles, and the small ones are for her hands and wrists. The connectors on the back of the disks look just like Lego hands! Now, I took these photos before I did much of my research into Go Go and I realize that having her stand on the disks like little hoverboards is incorrect (although in some pictures it does look like she's doing that --- I'll have to wait and see what she does in the movie). This is the proper placement for the larger Mag-Lev disks as far as I can tell. It allows her to zoom around like a dog on rollerskates. Actually it reminds me a lot of Ben 10's Helen. Here are some images of Go Go Tomago from the film's promotional material and the old comics. Here is she is with her teammate Baymax.